Keeping your home clean is one of the biggest challenges when it comes to owning a pet! 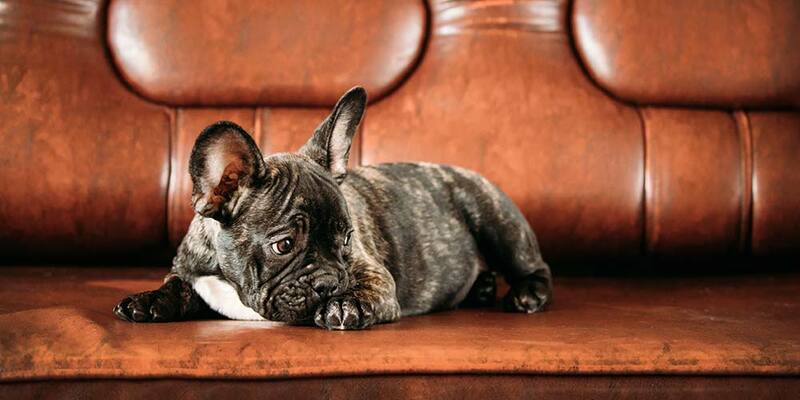 If you’re a cat or dog lover, you’ve been there – sometimes, no matter what you do, it’s easy to feel like your home has slowly been taken over by pet hair and dander. If your household is currently in danger of becoming a fur kingdom, here are some of the most important cleaning tips to keep in mind. Lint rollers are a must-get if you’re a pet owner! This is because lint rollers can pick up hair from virtually any surface. 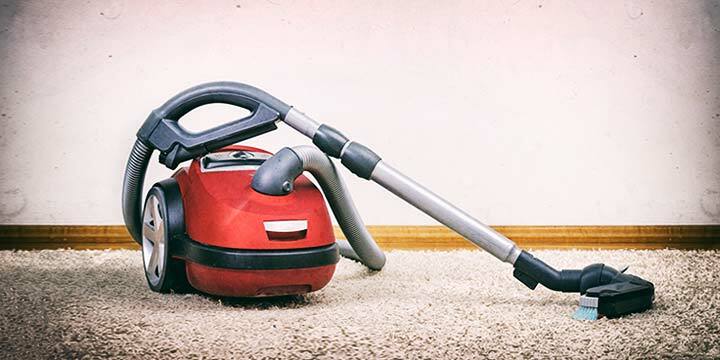 Yes, while it’s still important to have a vacuum cleaner on-hand and ready for general maintenance, a lint roller is an affordable and quick way to pick up the fur for those spur-of-the-moment cleaning times — such as when you have an unexpected guest dropping by. 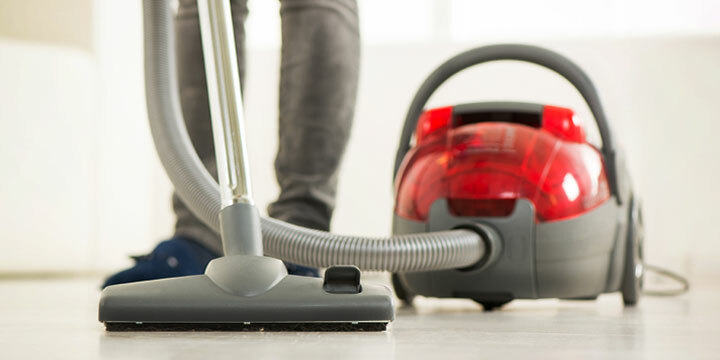 If you don’t want to drag out a larger vacuum, consider buying a handheld version. They’re easy to use, and incredibly convenient for cleaning up pet fur on the fly. Another handy benefit of using a lint roller, is to use it on any surfaces right after you vacuumed. This will help pick up any stray hairs or dust that were stirred up, but not sucked up. Dogs, especially, tend to track in ungodly amounts of mud and dirt when they come in the door after being outside. Rather than spending hours of your time scrubbing dirt from your floors, keep a towel and a shallow container of water by the door! This way, you can wipe off your pup’s paws as soon as she comes in the door. You could also place mats inside and outside of your front door, and train your dog to wait there while having their paws wiped. It can be easy to forget about cleaning your pets’ collars and toys, but this is a vital step. Collars, for instance, tend to get smelly pretty fast. You can put collars and toys in the dishwasher – this is a fast and easy way to clean most pet-related items. But, for a more effective and deeper clean, we recommend putting dog shampoo into a bowl with hot water and then letting any collars and toys soak for at least thirty minutes. 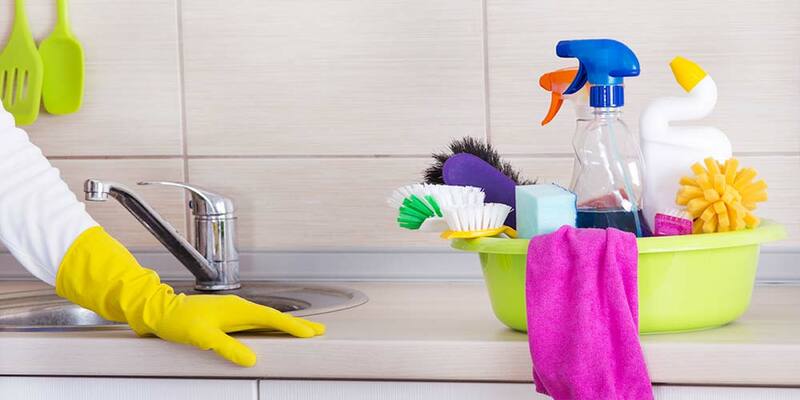 Once you’re done, rinse everything with cold water and let the items dry. Deep-cleaning your pet toys and collars will help both your home and your pet stay clean and smell fresh. Of course, it’s important to note that not all pet products are made the same. Some are made of cheap materials, while others are more high-end — or even customized! These may need to be cleaned with special care. If so, it would be wise to double-check with the manufacturer on proper care instructions. 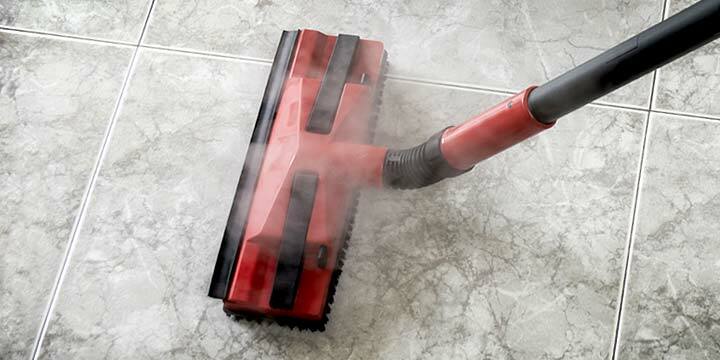 One of the all-around best home remedies for removing pesky smells and stains from your carpet? White vinegar! Simply fill a spray bottle with white vinegar and spray any stains evenly (just take care not to soak the stain). Then, let the area dry. You’ll be amazed at how well the vinegar soaks up any lingering smells! Note: It would be wise to test a vinegar cleaning solution in an inconspicuous area prior to spraying it all over. Hair is the biggest cleanliness challenge for virtually all pet owners. While there are some dog and cat breeds that don’t shed (or shed very little), most others tend to shed quite a bit. Thus, it’s obviously important to keep up a strict cleaning schedule when it comes to scooping up pet fur. But, what’s more important is remembering to groom your pet regularly, to decrease the amount of hair around your home. Brushing your dog or cat a few times per week can make all the difference – consult your vet about the right type of tools for the specific breed(s) you have. It’s especially important to brush your cat, as this can help to decrease certain health problems, such as hairballs and constipation. Do your best to stick to a regular grooming schedule, and enjoy a much cleaner home as a result. Plus, most dogs (and even some cats) love being brushed, so this makes for excellent bonding time. First, you should ALWAYS choose pet beds that have removable covers. This makes it so much easier to clean them. And, while you can use regular detergent or mild soap to wash beds, adding a cup of baking soda can really up the ante. This is because baking soda is a fantastic tool for helping to neutralize odors, in addition to being a great anti-bacterial agent. Simply add a cup of baking soda to your regular load when you’re washing your pet beds – and always make sure that you wash your beds on a hot cycle. If you have a kitty, then you know: the litter box can easily become a toxic-smelling dump that can seriously stink up your home. But, here’s the thing – if you’ve noticed that your litter box is consistently smelly, then this is likely because you’re not cleaning it enough. Most people only empty their litter boxes once every couple of days, but ideally, you should be emptying your box at least twice per day. 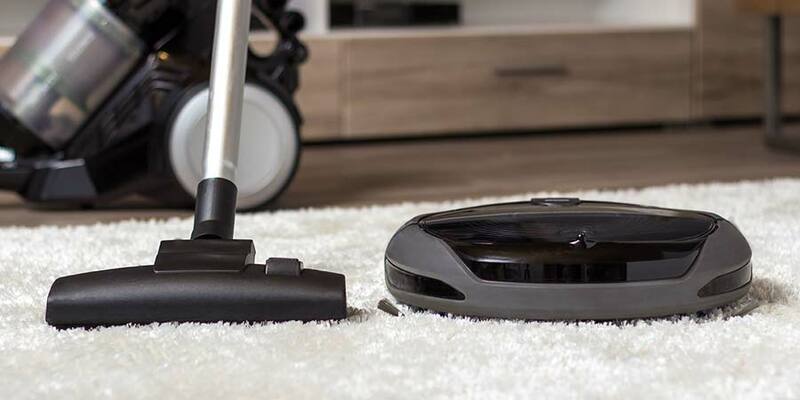 In addition, every week or so, it’s time for a deep clean: this entails emptying the litter, filling the box with sudsy water, and maybe even using a bleach solution to thoroughly clean your box. It’s also recommended that you invest in a new litter box at least once per year. Doing so will keep your home smelling fresh and clean, no matter how many cats you own. 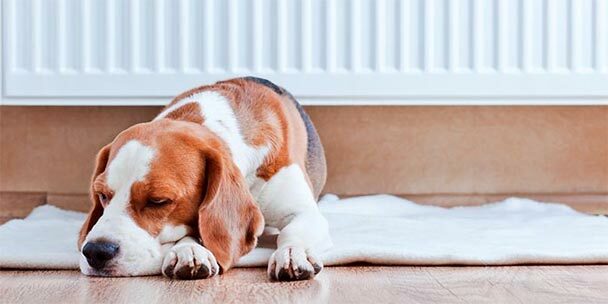 What are some of your tried-and-true ways for keeping your pet-friendly home clean?